College expenses accumulate quickly, so there is a good chance you will require some help paying for your education. Maybe mom and dad are chipping in, but tuition, books, housing, and other related expenses might tax their generosity. Independent loans are available for your education, but to qualify, you’ll need to demonstrate a solid credit history. Your credit worthiness is gauged by your overall “credit score.” Simply put, a number is assigned to you based on the results of every credit interaction you have ever had. 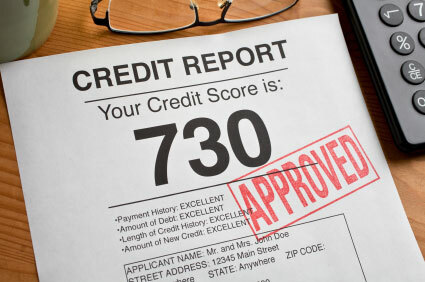 If your credit behavior has been responsible, and reflects a long history of paying your bills on time, the number will be high.For every negative credit entry, like a late payment or loan default, your score goes down.Credit performance is also judged using criteria like diversity and duration, which can be problematic for young people. Three primary credit agencies are in the business of compiling your credit report and providing it to lenders who request it. Some lenders also employ their own proprietary metrics to “grade” your credit history. Whatever method is used to derive it, your credit score becomes the basis for the lenders decision to offer or withhold your loan. A lender must tell you if information contained in your credit report has been used against you. You have an intrinsic right to know what information is contained in your credit report. You have the right to dispute any information contained in your credit report that you feel is inaccurate or incomplete. A 2003 revision to the FCRA establishes your legal right to receive free copies of your credit report from each of the three national credit bureaus, once each year. Fair and Accurate Credit Transaction Act (FACTA) requests are submitted annually to www.annualcreditreport.com. FCRA and FACTA protect you from institutional bias, by standardizing the ways in which your credit information is used. But the real problem for you might be your age.As a college aged person, you are likely free of home mortgages and other long-term credit obligations. If you have a car loan, it is probably your first one. Revolving – Standard credit card debt where balances are carried over month-to-month. Installment – Prescribed payments are made over a defined period of time, until the loan is paid off, like a home or auto loan. Open – Like an American Express card or other debt that is paid-in-full over each billing cycle. Your short credit history might not be well-established enough, or contain enough diversity to convince a lender that you are a good credit risk. A cosigner helps bolster your credit application by adding a longer frame of reference for the lender to consider. College funding is available for students with little or no credit. A cosigner increases your access to conventional loans, but there are other forms of financial aid that you can seek without help. Federally funded loans provide the greatest access to college aid, for students without cosigners. The most important first step toward securing financial aid is to complete the Free Application for Federal Student Aid (FAFSA). 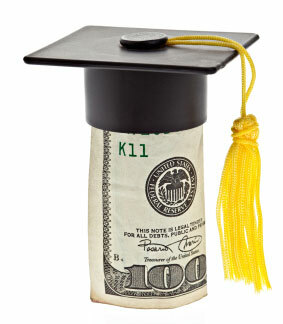 The standardized application for student aid computes your need for financial assistance during college. Student income, parental income and assets, and your family size are used to calculate your Expected Family Contribution (EFC). Your EFC is then used to create an individual Student Aid Report (SAR) that summarizes your anticipated college financial aid needs. Your personalized SAR is sent to colleges of your choice, to provide an analytical tool for financial aid offices to use in evaluating your eligibility for grants, loans, and other forms of student assistance. Stafford loans are either subsidized or unsubsidized, depending on who pays the interest while you’re a student. Subsidized Stafford loans are for students displaying the greatest need, so if you have low-income and inadequate credit, you will likely qualify for a subsidized loan. Unsubsidized Stafford Loans accumulate interest from the time they are sent to your educational institution, and eligibility is not determined specifically by financial need. “Dependent” students include parental financial information on their FAFSA submissions. If you are an “independent”student, your parents’ income is not factored into your Expected Family Contribution (EFC), and your annual Stafford Loan limits are higher. 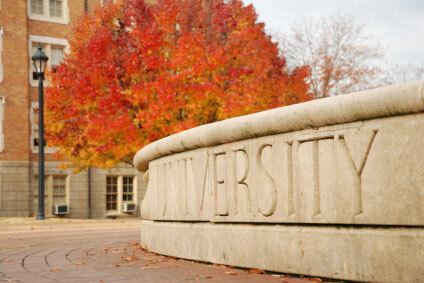 Perkins loans are federally funded loans administered by your institution of higher education (IHE). The loans are offered to students who demonstrate significant financial need relating to educational expenses. In general, families with annual incomes below $25,000 are eligible for Perkins Loans, but your FAFSA should still be submitted, even if your family income exceeds this amount. The maximum annual Perkins loan for undergraduate students is $5500, with a lifetime loan maximum of $27,000. Graduate students may borrow up to $8000 each year, with a $60,000 lifetime maximum.Perkins loans have fixed 5% interest ratesand repayment starts 9 months following graduation. Student loans that are obtained from private sources, such as banks or credit unions, generally do require cosigners. If you have very good credit record, with a strong measure of diversity and longevity, you may qualify for private funds on your own. Your employment outlook during school is another important consideration. If you have a steady job that underscores your ability to repay a loan, your application will be viewed more favorable. Still, lenders understand that you are a risk. Expect private party loans to have high interest rates attached. For students who want to move forward without a cosigner, government loans are the best avenue for financing. Private lenders are more likely to require cosigners; because you are a risk, and your credit history is short. Cosigners help in some instances, but don’t short change your education just because you are going it alone- there is money available.